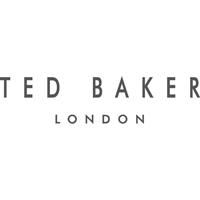 Ted Baker (LON:TED), the global lifestyle brand, is pleased to announce the appointment of Lindsay Page as the Company’s Chief Executive Officer (“CEO”) with immediate effect. Lindsay joined Ted Baker as Group Finance Director in February 1997 and took on the additional role of Chief Operating Officer in July 2014. In December 2018, he was appointed acting CEO. During his 22 years with the Company, he has been instrumental in the development and implementation of many of the strategic initiatives, both in the UK and internationally, which have underpinned the growth and performance of Ted Baker as a global lifestyle brand. The Nomination Committee is considering further board appointments, which will be announced in due course. As previously announced, David Bernstein will continue to support Lindsay in his capacity as Executive Chairman until a new Non-Executive Chairman is appointed. David Bernstein CBE, Executive Chairman, said: “We are delighted to confirm the appointment of Lindsay as our new CEO. Lindsay has been a key driving force in Ted Baker’s expansion as a global lifestyle brand over the last 22 years. Throughout the process that led to his appointment, Lindsay has demonstrated to myself and the Board his unrivalled knowledge of the business and his clear vision on the opportunities and priorities that lie ahead. He is exceptionally well regarded by our teams and our partners, making him the outstanding candidate for the role.